Anita Lo Will Close 3-Star Annisa This Spring, After 17 YearsSadly, she says that she can’t keep up with rising costs, which include the new minimum-wage law. The Other Critics: Wells Gives Annisa Its Third Star, Saul and China Blue GetPlus: Joshua David Stein’s kooky review for M. Wells Steakhouse, and more, in this week’s roundup. Jamie Shupak Launches Cooking Series; Anita Lo’s Duck, Duck,Plus: Christie’s wine auction, and more, in today’s Leftovers. Chef Hacks: How to Fish a Cork Out of a Wine Bottle — With a NapkinIt’s not really all that useful, but it’s still cool. Everyone Wanted an Asian Cookbook From Anita Lo, Except Anita LoThe cookbook is purely Anita. Sifton Enjoys Hunan Kitchen of Grand Sichuan; Cheshes Names MillesimePlus: Ed Levine impressed by the new Fedora, Gael Greene raves about Patricia’s, and more, in our weekly roundup of restaurant reviews. OpenTable Ranks America’s Foodiest RestaurantsThe rankings were based on users’ responses. Anita Lo Buys Out Partner at AnnisaJennifer Scism is leaving the restaurant business and moving to Maine. Anita Lo Leaves Rickshaw BehindThe chef is concentrating exclusively on her reopened Annisa. Sifton, Cheshes Fall For Annisa; Richman Visits ‘Mediocre’ PrintPlus: Gael Greene on the Plaza Food Hall, and Williamsburg’s easily adored Commodore. Platt Returns to Annisa; Make Humm’s Berry GazpachoAlso in the magazine this week: the city’s best sandwiches, and an Alaskan salmon CSA. New Rules at AnnisaAnita Lo hires a feng shui consultant. Anita Lo Sells First Book, Starts Construction on Annisa 2.0Plus, an update on Great Jones Café’s kitchen fire. Movie Popcorn Calorie Counts; Almost Half of Americans Will Be Obese in TenPlus: Moldova fights swine flu with garlic, and a hipster drug den in the old Laila Lounge, all in our morning news roundup. 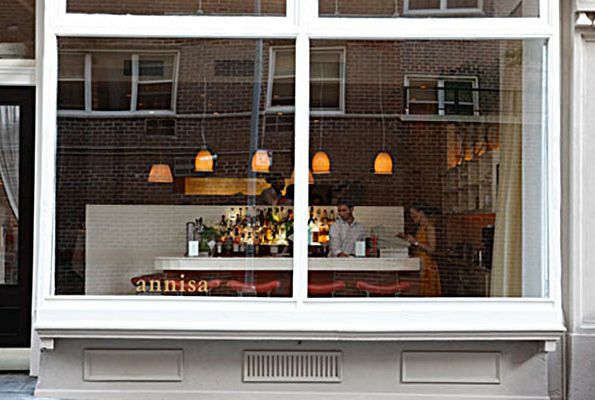 Annisa Closes After FireAnita Lo plans to rebuild after a July 4 kitchen fire. 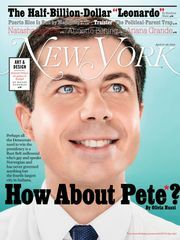 Platt at Eighty One; Ago to OpenIn this week’s magazine: Platt on Eighty One, De Niro’’s new restaurant opens, and Starbucks’s problems are solved. How Mireille Guiliano Doesn’t Get Fat: Breakfast at Balthazar When Mireille Guiliano first came to America as an exchange student, she gained weight for the first time in her life. Many years later, after becoming a CEO of Veuve Clicquot, she penned the buzzy No. 1 best-seller French Women Don’t Get Fat, now out in paperback. After 25 years of splitting her time between New York and Paris, Guiliano is still amazed by the large portions here, and by the New Yorker’s tendency to eat on the go. “To eat your bagel and your muffin with coffee on the subway is gross,” she says. “How can you do it with the smell and the noise and the moving? I’d rather starve.” She’s also still shocked when she sees people eating on the street or standing up. “For French people, you’re supposed to eat at the table. Besides the bed, it’s the most important piece of furniture in the house.” So what’s she been eating at the table this week? Annisa’s Skate Duo Runs Hot and ColdAnita Lo’s work at Annisa has produced what Adam Platt calls “some of the most consistently interesting food in the city.” Her “skate with avocado and radishes, Korean flavors” exemplifies this: Three elements on the same plate are presented in both hot and cold combinations. As always, scroll over the different elements of the dish to hear it described in the chef’s own words.